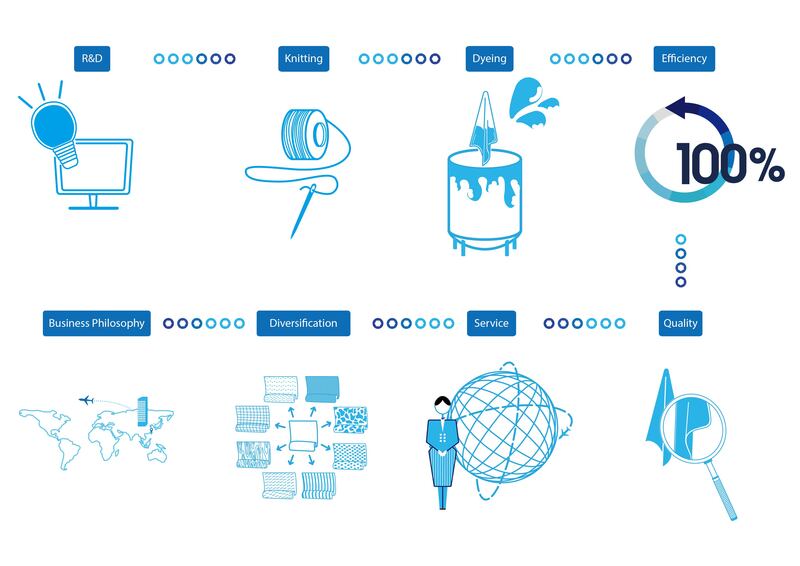 Being a leading textile supplier and delivering unique, innovative and reliable products, enable to increase customers’competitive and stable growth. Meanwhile, keep reducing the environment carbon foot print to increase the harmony and welfare of the community. Our mission at Wu Luen Knitting Company is to become one of the essential solution providers to sportswear, swimwear and intimate apparel brands by manufacturing relevant high-quality and innovative performance fabrics at competitive prices. We will accomplish this by building enduring relationships with key upstream value chain partners and making appropriate investments in equipment and people. We are resolved to meet these needs responsibly, in the communities in which we operate and are committed to continually reduce our impact on the environment and to encourage our partners and suppliers to work with us to enhance sustainability.